This contest has ended. Winners were notified on June 19, 2017. American author, storyteller, humorist, voice actor, and radio personality Garrison Keillor presents two-plus hours of stories, love duets, family drama, poetic outbursts and the famous Singing Intermission at which the Eager & Able-Bodied stand and sing around the campfire. 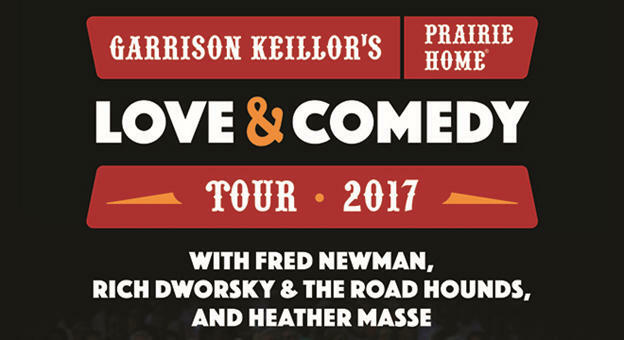 Keillor will be joined by sound-effects genius Fred Newman, Rich Dworsky & the Road Hounds and musician Heather Masse. Tickets and Information click here. This contest has ended. Winners were notified on May 31, 2017. NPR's "Wait, Wait...Don't Tell Me!" returns to Detroit for this nearly-sold-out show! 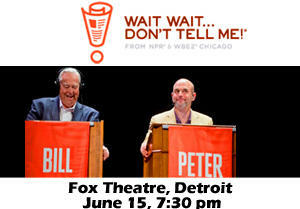 Host Peter Sagal and announcer Bill Kurtis will lead a panel of comedians, humorists and journalists, listener contestants and celebrity guests through a comic review of the week’s news. Contestants vie for the most coveted prize in all of public radio: a custom-recorded greeting by scorekeeper emeritus Carl Kasell for their voicemail.